I attended the Northern Monmouth Chamber Business After Hours Networking event at Bahr’s on Thursday, January 14th. For once, I actually got there early and Paul asked me to help out at the registration table. I love working the reg table because then I get a chance to at least say hello to everyone at the event. I always have a good time and I was able to meet some really great folks including Jay from Bahr’s who I’ve only ever communicated with through Twitter. Bahr’s did a fabulous job, the food and atmosphere were outstanding. Ken Scaggs from the Kerr Agency asked me to be a part of the video testimonial on behalf of the Northern Monmouth Chamber. I really wanted to say no, I’m not exactly photogenic but that’s not very chamberly now is it. My big video debut is at the four-minute mark but you should watch the whole thing. Jeff Gould from Action Media put the video together and has a bunch of other great local videos he produced on his YouTube channel you should check out. I look forward to seeing all of my chamber friends again soon! This is the week during the month where everything seems to be going on. There’s a week like it every month for me. I was kind of lost driving back from Long Branch (nothing new) today and I ended up right by Branches. I should have just stayed there because I’m going to be there almost everyday this week. I was all over the place yesterday, starting my day at the MODC Culture & Tourism Committee meeting and ending it at Madison Square Garden for the Rangers game. I was up and at ’em early this morning to get the Jersey Shore CVB website committee meeting and this evening is Kick Cancer Overboard Super Huge Networking event at…. you guessed it, Branches Caterers. 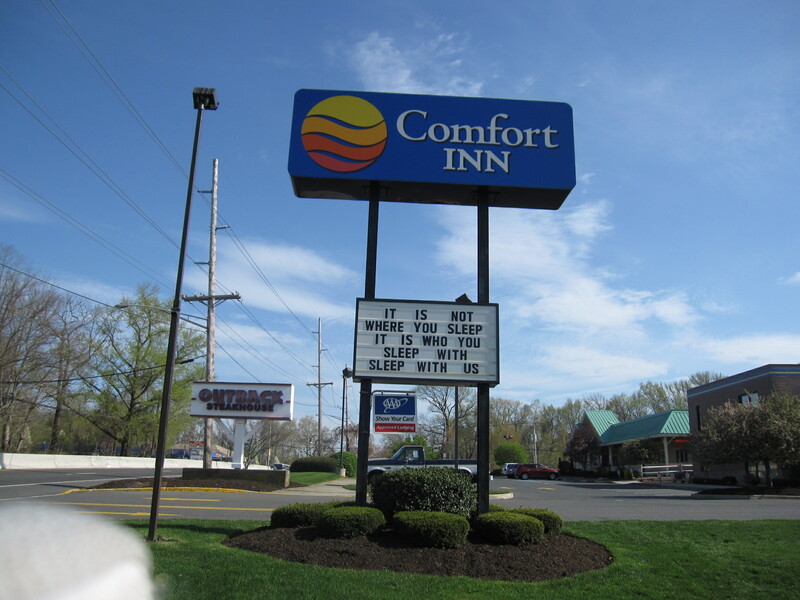 The Comfort Inn Middletown will be there as a sponsor and proud supporter of Kick Cancer Overboard. The last event was very well attended and I’m so looking forward to tonight. The theme is Oktoberfest and there will be a cash bar with German beer and wine tasting. The business expo will go from approximately 5:30pm to 7:00pm and then dinner, entertainment and a presentation from 7:00pm to 8:30pm. Wednesday the Comfort Inn Middletown will be hosting the Northern Monmouth Chamber of Commerce Board of Directors Retreat in our meeting room. I’ll be here to greet everyone upon arrival, not so much happy about the early rise. I think the “Perkolator” is getting it’s revenge. Thursday October 20th brings the premiere event of the year for the Jersey Shore Convention and Visitors Bureau. The Jersey Shore Big Wave awards will be from 6:00pm to 9:00pm at Branches. Tickets are $50 and you can RSVP via email. Honorees include the Honorable Brendan T. Byrne, Ben Waldron, Executive Director of Monmouth Ocean Development Council, Cecil Lear Jersey Shore surfing legend, Jersey Shore Premium Outlets and Phyllis Oppenheimer, longtime Tourism Representative at NJ Division of Travel and Tourism. Then we land on Friday, October 22 and the Boys and Girls Club of Monmouth County will be having a young professionals Oktoberfest fundraiser at Branches from 7:00pm to 10:30pm. Tickets are $75 and included unlimited German beer, wine and food. To RSVP, email Meg Boushie. Clean Ocean Action Fall Beach Sweeps are Saturday, October 23rd. There are over 21 locations in Monmouth County alone. I missed the Beach Sweeps in April but I will be there for this one. 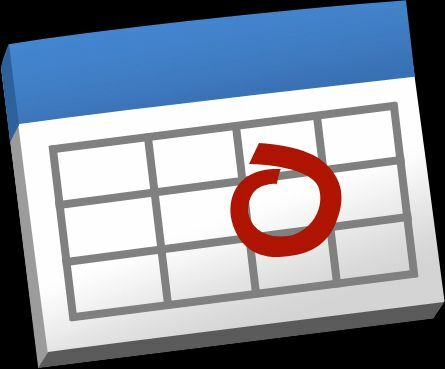 Click here for the list of locations. If you’re at any of these events, be sure to say hello! For this weeks INN-Side Story post I decided to write about our tag-line and how it came about. In next weeks post we’ll give the scoop on one of employees so you can get to know them better. I attended my first Eastern Monmouth Chamber of Commerce Small Business Council breakfast on February 17th, 2010 at Branches in Long Branch. I am not typically a morning person and breakfast as a meal doesn’t really appeal to me. (Branches does put out a fantastic spread!) I am more of the “Business After Hours” type and I sit on that committee with the Chamber. I had met with Bill Atkins, owner of Red Bank Limo a few weeks prior and we discussed several marketing ideas. He suggested that I attend the breakfast because it attracts a different crowd than business after hours giving me more exposure. He did warn me, however, that I needed to be prepared to stand up and give a 30 second commercial. There are few things less terrifying for me than public speaking. Needless to say I spent the 3 days prior to the breakfast nervous and scrambling to figure out what to say. Ted Friedli of Excel Travel is a master of the tagline and making people laugh, because of that I’ve remembered him since my first Chamber event back in July. “Make Us Happy, Go Away”. I knew it had to be memorable, but what can you say about a hotel that is really exciting to non-hotel people? I am a notorious note scribbler on scraps of paper. The night before I sat at my kitchen table with a glass of wine and I filled the backs of three grocery receipts with ideas before I arrived at “It’s Not Where You Sleep, It’s Who You Sleep With”. 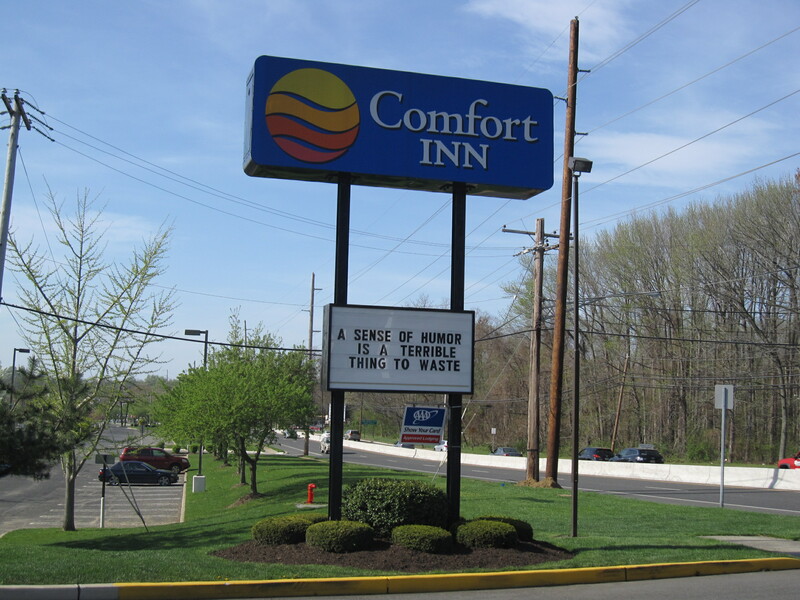 In my conversation with Bill, we talked about the things that are unique about the Comfort Inn Middletown. A few of them were, we are family owned and operated since 1962, we truly are a small business not a large corporation, we have employees that have worked for the company for over 20 years, and we have great customer service scores. It became pretty clear that the people at the hotel were what made the difference, not what we have to offer as a building. All hotels have basically the same features. No one other than the boutique hotels are re-creating the wheel and offering off the beaten path amenities. It turns out that my 30 second commercial won the gold medal for both February and March and I have yet to get through it without my face turning bright red. I have started attending a few of the Northern Monmouth Chamber of Commerce “Perkolator” breakfasts held with Cliff Moore at the Keyport IHOP where my face turns equally red. We are proud of our employees and their dedication to customer service. It makes the hotel an easy sell for me and happy guests make for a happy work place. A real win-win situation. Some people do not appreciate the double entendre and to them I say, “Get your mind out of the gutter”. Tracy says “A sense of humor is a terrible thing to waste”. Our marquis sign states it. We’ve had guests posing under the sign and taking pictures for about a week now. Swing on by and get your picture taken too. If you don’t have a camera, pop on in, we do and we’d love to post your picture on our Facebook fan page. Remember “It’s not Where You Sleep, It’s Who You With“. Come over for a site tour or a cup of coffee, we’d love to meet you.